Contact a Corken Hydronics Pro for more information. Get the Honeywell Lyric™ Package now at Corken Steel! 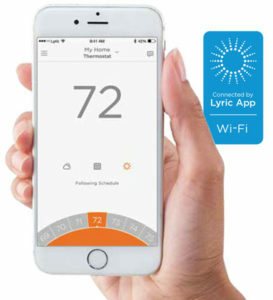 Lyric™ is a Wi-Fi connected platform that simplifies home comfort, security and awareness by controlling home products with a single app. Individually, each product performs brilliantly. Together, they’re a way to orchestrate life. Available on iOS and Android devices.